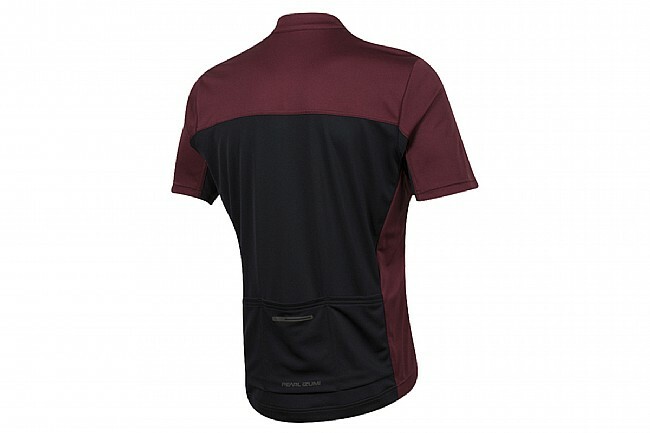 Wherever you ride, you'll be glad you have the comfort of Pearl Izumi's Select Tour Jersey with you. 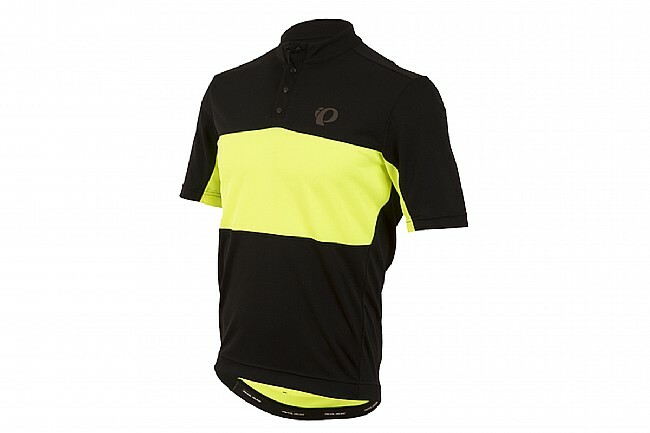 It's cut with a relaxed fit from Pearl Izumi's SELECT Transfer fabric to provide benchmark breathability and moisture transfer, and the snap-button collar lends it a casual style that works for any occasion. Out back, three jersey pockets hold your essential items, and the elastic gripper hem keeps the tail of the jersey from creeping up while riding. Features BioViz™ reflective accents for increased visibility. Available in multiple colors. Nice and comfortable. I love this for my training sessions. I have a gut and so need roomy jerseys. Peral Izumi Quest Tour jersey has been my standby for many years. This Select Tour jersey is well made, good quality. Fit is tighter than old Quest Tour, but still roomy. Problem is with the snaps at the neck. I want a zipper, which I zip down when climbing, zip up if I get chilly. These snaps are a hassle, easy to undo, hard to snap up. Not sure what Pearl Izumi was thinking when they implemented this feature.